Make it to the top. 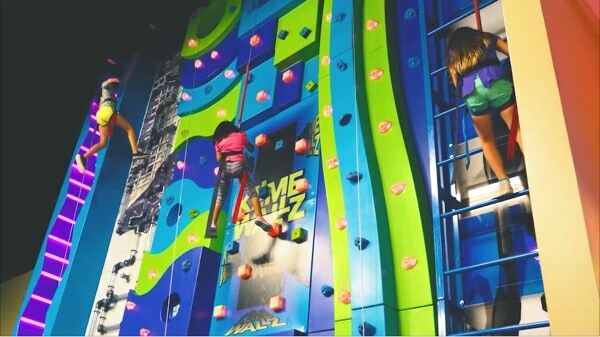 Try your ninja warrior skills on 6 new and amazingly different indoor rock climbing walls. 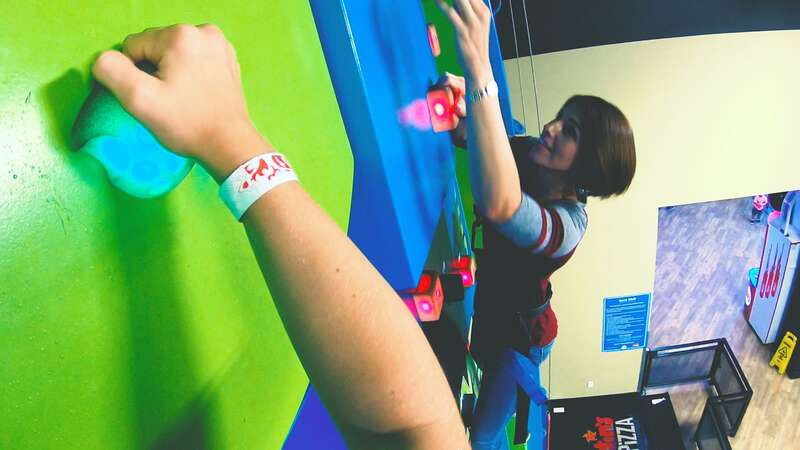 Reach heights of almost 30 feet in our all new rock climbing center at Austin’s Park n’ Pizza. 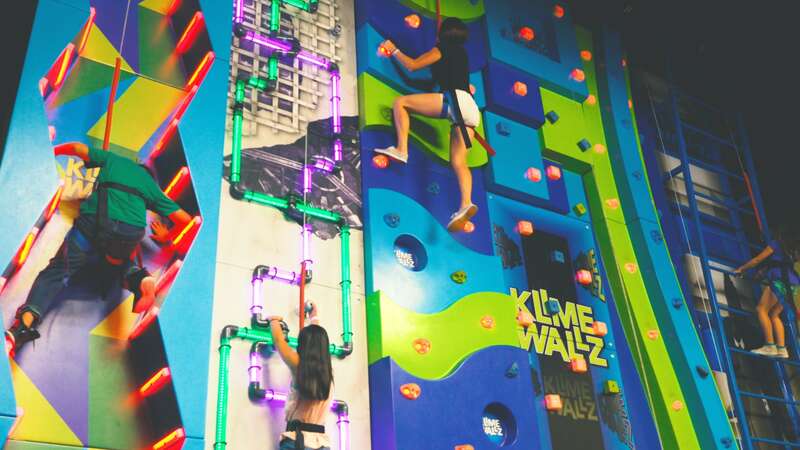 These new walls feature ninja warrior challenges like a spider climb and LED light climb. These safe but fun walls create a new kind of challenge for kids and adults alike. Our rock climbing walls include six new ninja warrior walls, challenging for some, fun for all. Featuring a spider climb, LED climb, ladder climb and other fun, new options from Klime Wallz. 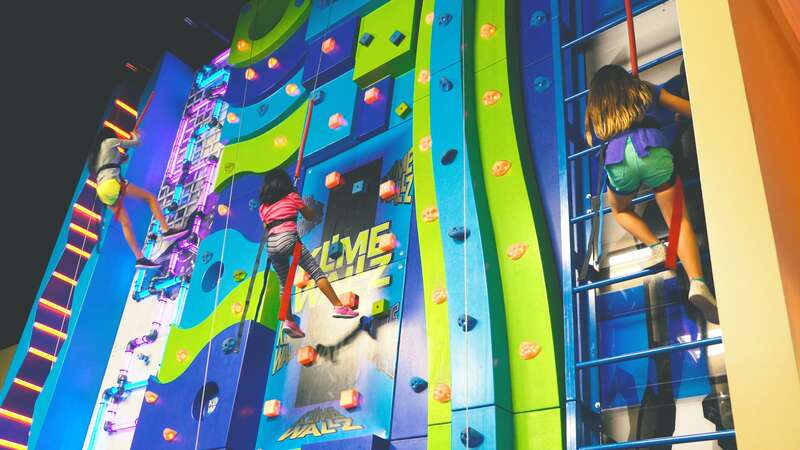 Our 6 indoor rock climbing walls reach heights of nearly 30 feet. Make it to the top and look down for a thrill! Only the best can finish the climb. Climb our traditional rock wall on your outside rock climbing experience. It can be included in your outdoor party for your corporate or family event.